due to a roadside bomb in Iraq in this second Afterlife TV interview. http://www.amazon.com (link takes you to Natalie’s book page). In case you missed it, this is Natalie Sudman’s first interview from Season One. Very enjoyable watching and listening to Natalie explain the intricate details of her experience. The best part is watching YOUR reaction. I can personally relate, as I am like you, very curious and open to EVERYTHING surrounding any and all happenings after death. I had to laugh as I imagined myself in your place and feeling my head spinning with all of the possibilities she suggests. This all adds to me as quite a “game changer”. If life after death proves to play out as Natalie describes……. that means only one thing for me, celebration time…..I can finally let go of the GUILT…yahoo!!! This is why I enjoy your videos so much, Bob…..You just seem to be so genuine and naturally curious, but with that hint of a skeptic peeking through!! That’s exactly how I feel–curious and open. I love interviewing Natalie because she’s so willing to try and explain what I’m asking. And she has a great sense of humor, so she makes the interview fun. Another fantastic interview! I feel like Natalie has soo much more to teach us and I would love to hear more of what she has to share. I could listen for hours and hours…in linear time! Very interesting and profound!! I laughed out loud reading your “in linear time” comment. That whole time conundrum really gets in the way of these conversations. I’m really glad you enjoyed the interview. I certainly loved doing it. And we will hear from her one more time. We’re going to talk about the Healing Environment in 3 to 6 months. That should be cool. Wow, wow, wow! So much of what Natalie said just “resonates” with me as being very, very true. From the time I was a child, I was so jealous of my cousins and family because they just bought “hook, line & sinker” what our denomination of faith taught us of the afterlife (judgement, hell,etc….) and even as an 8 yr old, I could not buy it. I have been search throughout my life for “my truth” and finally, at 54, I’m finding it with much reading, research, meditation and prayer. Many thanks to you, Bob, and others in the field, who through their work, have validated much of what I feel is “the truth”. I cannot wait for the next interview with Natalie. I think a lot of people have felt the same way, me included. It’s part of our human journey. And aren’t we lucky to be at this place before this particular human life ends. I appreciate you saying that about this being what I was meant to do. That’s quite a nice compliment. It certainly feels that way because I’m enjoying it so much. Again, I chuckle at the linear comment. Thank you Lisa! slowly slowly, the veil is lifting……. Wonderful, all the way from Holland. Natalie certainly has a way of captivating an audience. I too look forward to the third interview. Yes, I loved Anita Moorjani’s as well. I’m glad the veil is lifting. I appreciate your comments. Thank you for all your support. I totally agree with you. The way Natalie can make that shift, go back to that place, and then give me the answers to the questions I ask — well, it’s all pretty amazing. I expect she has a lot more to teach us too. I hope you’re doing well, Janie. That’s not extremely dramatic at all. Many people have expressed similar reactions to her book on this website, on our Facebook page, and on our YouTube channel. Thanks. Fastinating interview, awesome questions to Natalie! What I love most about your website is your ability to ask just the right questions! I so wonder why this is??? Well, good timing. I’m interviewing Bill Guggenheim on Tuesday, so I’ll try to remember to ask him. Thanks Wendy! This is my third time coming here to listen to your second interview with Natalie Sudman. The energy between the two of you just flows and it is most enjoyable thing to observe. Like a previous comment, I, too, enjoy watching your reaction, Bob and, of course, Natalie’s quick, beautiful smile. The content of the message and the chemistry makes this interview very special. Thank you for bringing this messenger to your readers! P.s. I lost my father on the 7th of this month and have been both happy for him and sad for me. I’m in the grieving process that manifests depression; wanted you to know how much this interview is helping me through that phase of grief. I’m sincerely sorry for your loss. But I’m glad this video has benefited you in some way. My blessings to you. Hi Bob. I’ve been following your site for a couple of months now. I was raised catholic and although up until recently I wasn’t religious, I believed in God. For whatever reason, my faith has completely left me and I find myself on the border of atheism. I never thought I would be in this position and I don’t know what to do at this point. I’ve had experiences that have led me to believe that God exists but those were a long time ago. 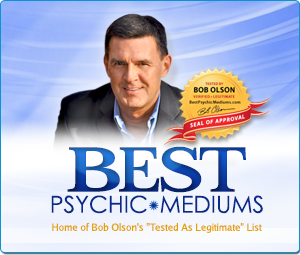 I recently saw a medium and the reading was a lot of misses and some hits, so I really don’t know whether it was legitimate or not. Basically, I’m where you were before you began your journey. Do you have any advice for me? My investigations have led me to see three levels of spiritual growth. The first is Skepticism. Some people never even begin here (they begin at the next level), but many do. This is where I began. The second level is Believing. This is where the majority of people exist. This is where people accept on faith what others have told (taught) them. Therefore, this is where religion exists. And the third stage is Knowing. Knowing is where one discovers what is true for them based on personal experience — they know it is true. It need not be true for others, because spirituality is subjective. But the only way to get to a knowing (to know something is true) is from an experience that you have yourself. We only become knowers about one experience at a time. 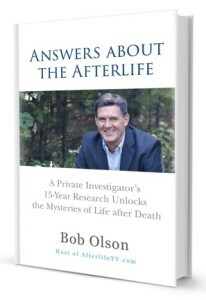 So while I became a knower about mediums — I knew from personal experience that there are people who can communicate with my loved ones in spirit — I was still a skeptic about other experiences, such as past-life regression. 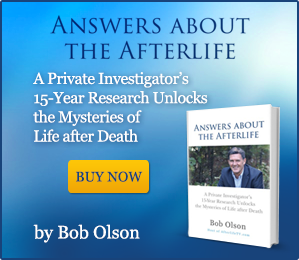 Later, after having a personal experience with past-life regression, I then became a knower about that experience. And so it goes with every experience that exists. My advice to you Charlie is to continue having personal experiences in this field. 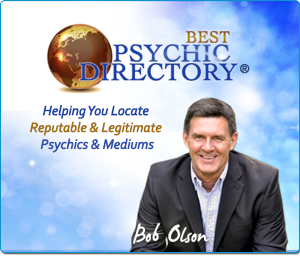 Most people don’t know it, but I went from 1997 to 1999 having unsatisfactory readings with psychics, tarot card readers and astrologers thinking every one of them was a phony, fraud or scam artist. It wasn’t until 1999 that I had my first reading with a legitimate medium that gave me enough evidence to know it was real. 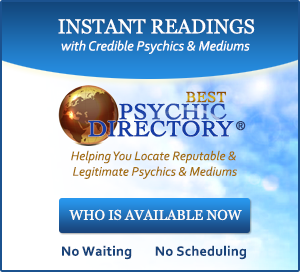 Later, once my strong skepticism was diminished, I was able to have satisfactory readings with psychics, etc. I would keep going to different mediums, as a reading is different with each one — some are better than others, of course, but sometimes it’s just that one will resonate more with you (and communicate in a way that you understand better). 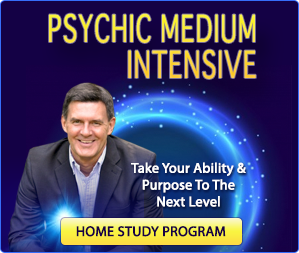 I would try past-life regressions, then Life Between Lives regressions (a 4 or 5 hour experience), meditation, out-of-body experience (see my interview with Graham Nicholls), maybe even take a weekend course or classes on improving your own psychic or mediumship ability (you might be surprised as to what is possible). Honestly, having several readings with different mediums and a few past-life regressions would really open your mind to new ways of thinking (knowing). So that’s my recommendation. And while I know this can get expensive, there’s no rush for any of this. Just have these experiences over the next few years as you can afford them. I hope this is helpful Charlie. I wish you the best. This 2 part video interview was very enlightening. Having been the first videos I’ve watched on afterlifetv, they were really an eye opener. Although I’ve heard and listen to information all around me that most people probably don’t get the opportunity to hear (its not coming from the other side). As stated in a previous comment, I work with funeral homes and people after a loved one has passed. Helping with memorial brochures and various services. Funeral homes should also have this info to offer to their clients as I believe it would ease their pain during that time of grief. Yes, I believe everyone could benefit from this information, which is why I love doing this so much. But certainly people who work with the grieving (like those working in funeral homes) could add to the ripple effect if they had a deep understanding of the afterlife. I’m sure some do. The tale of Gladys was one of my favourites, although I was in tears reading her last moments, the love and emotion that radiated around this character also made me smile and if you could describe someone’s passing into the afterlife as lovely, that’s how I would describe Gladys leaving this world. You might be right about your first question. Perhaps it’s a matter of interpretation. I know that the Life Review is only you judging yourself (aka us judging ourselves), whether it’s someone who had a NDE talking about it or a person in spirit talking about it through a medium — most of them agree on this point. As for your second question, I have brought this up in a couple interviews. Anita Moorjani, for instance, talked about deja vu in a way that might be relevant to dreams. But dreams are still one of those areas where I have not found any expert who has convinced me that they have compelling evidence one way or the other. I do think that some dreams might be other lifetimes, although put into a skewed context that’s mixing this life with another life because our brains are trying to make sense of it. I also believe that dreams are sometimes just our brains trying to work issues and fears out. But, yes, I agree it would be a good subject for interview if I could find someone who specializes in this area whom I find credible enough to have on as a guest. I ‘m from Chile, South America, and learned about you on the internet. I find your program very interesting, and you are a very nice person. These subjects are fascinating. I had a beautiful convertion around 10 years ago. And on the contrary of many, I became a Catholic, and trully beleive in this path. I did not have any accident or anything of the sort, but started one day to have the necessity, the call, to attend mass, (I had no idea how to pray), and about two months later one day, from a second to another I saw God in everything, my children were close by and they were full of God, by looking out the window, at that very moment I saw the trees, birds, the air, everything completely fullfilled with the presence of God. It was beautiful, I was looking with other eyes, and gave me a profound peace, and the feeling of the most deepest love for every being in this world, I started to cry feeling so, so sad and feeling ashame I felt sadness for me and for the whole humanity for being so far away from God, and being so ungrateful, well, I could tell much more, anyhow, it has absolutely changed me since. I wanted to ask you, if you could invite “Marino Restrepo” , a colombian who travels around the world telling his incredible experience. He has a page “Peregrinos del Amor”, he lives in Los Ángeles, and speaks perfect english. Thank you for your kindness. What a wonderful experience you have had. I grew up Catholic, so I can certainly understand why you have been drawn to it. I, personally, love the Catholic churches–so beautiful. Thank you for sharing your incredible spiritual awakening, and for recommending Marino to me. I will check him out.